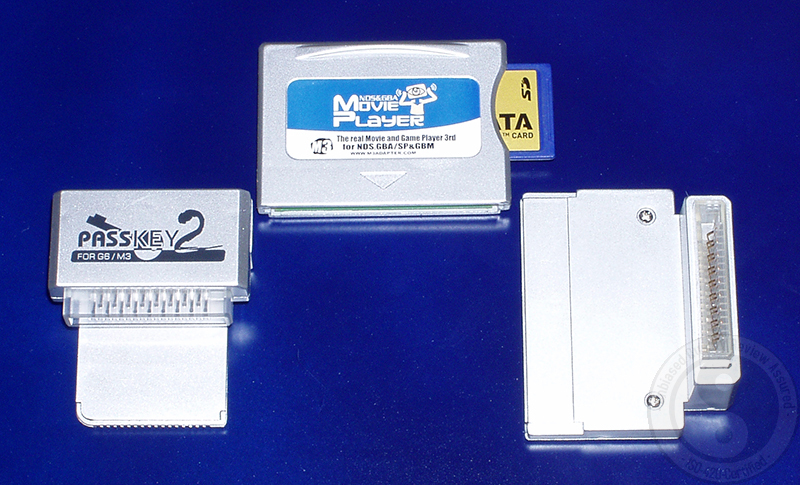 Over the past year I've watched the development of the M3 Team's Nintendo DS and GameBoy Advance Movie Player migrate from its initial limited Compact Flash version into to the M3 SD X. The M3 SD X is the latest creation from the M3 Team and is basically a scaled down version of their original M3 SD product. When I state scaled down I'm referring to its physical size as all of the features I've come to depend on have remained intact. 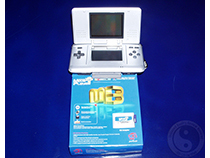 The most impressive part about the M3 Team is their dedicated support for their line of Nintendo DS products. Compared to other companies that produce a half working product lacking promised features and then go and move on leaving their old products in the dust the M3 Team has stuck by theirs. They have kept them up to date with new firmware and software to ensure you'll be receiving what was promised and what you paid for. You know when you purchase an M3 you wont be let down and left in the dust with unworking half functioning media. 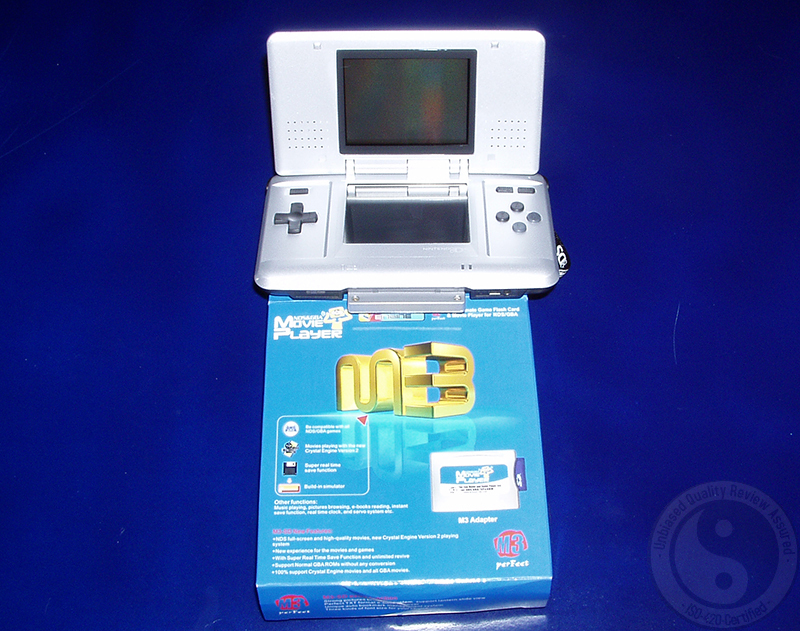 Like other similar products the M3 started with only GameBoy Advance functionality and migrated to the Nintendo DS. The transition was much smoother then others and well thought out. At the core of the M3 line of products is it's firmware or operating system which is original and based off the their previous GBA Movie Player. The firmware has been seamlessly built around the hardware and offers many great features including the ability to playback media files including music, movies, pictures and games which are conveniently stored on high capacity removable media. The M3 SD X like the M3 SD uses Secure Digital memory cards as its storage medium. These small interchangeable cards come in a variety of sizes, have a long lifespan and give you the ability to manage your media files more easily. You use them just like a normal disk. With an SD adapter hooked up to your computer you can easily add, delete and copy you media without the need to hookup your product using proprietary hardware which is limited to low speeds. The firmware itself is a great example of a development process gone right. Its stick, easy to operate, is bug free and offers its users the chance to create themes for it furthering its appeal. You can customize it to your liking or use themes already created for the M3 by other uses that attract you. The firmware is based on a main menu which leads to the gaming, picture, video and music menus where you can easily launch and/or play your files. You've got two options when it comes to media playback as you can use the M3's Crystal Engine' converting software to create files that the M3 can read or use the built in MoonShell media player which can playback many files without the need to convert them beforehand. When it comes to running homebrew applications or legitimate backups the M3 is superior to all other solutions. I know this is a bold statement, but 99% of the backups and 100% of the homebrew designed with the M3 in mind boot flawlessly without the need to patch them. All you do is put them on your SD card using the M3 DS Game Manager software and you're good to go. 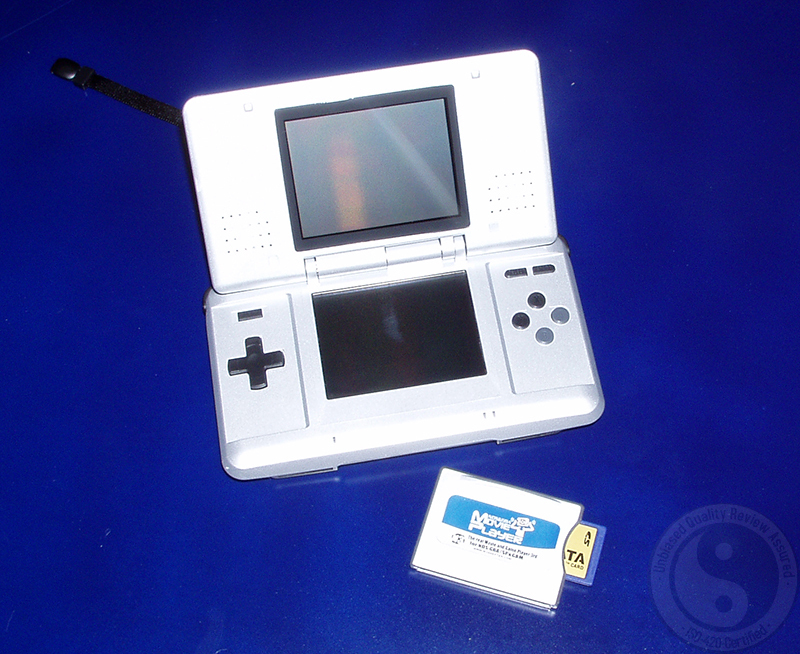 The unit also features direct saving of your save game data to the SD card and retains this data long after your Nintendo DS have been turned off. Additionally, once you have saved your game you can backup the save data to your computer for safe keeping. With the M3 you will not have to worry about losing your saved games. 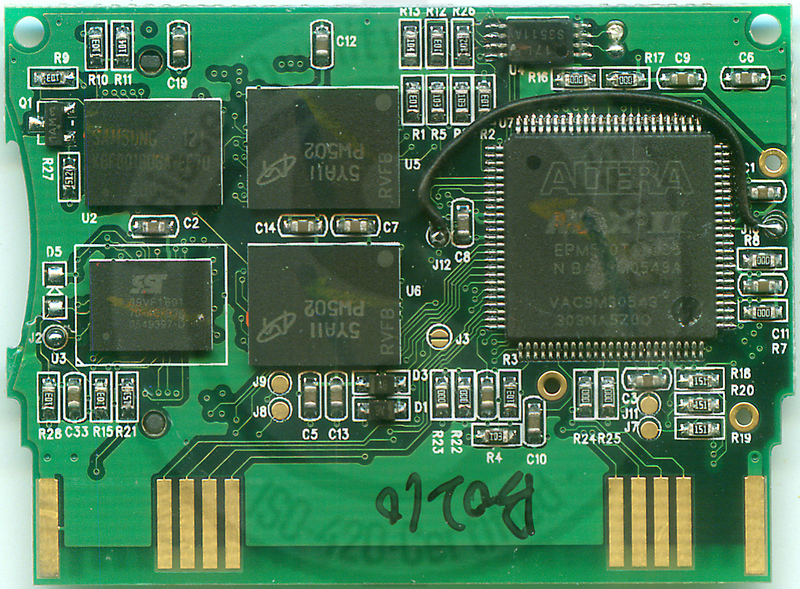 The M3 SD X, like the M3 comes bundled with the PassKey v2 device. You see, to run unsigned code (homebrew) on your Nintendo DS you need to be able to 'pass' the code from the GBA slot to the NDS slot and the PassKey v2 is the solution to this. 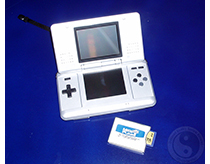 Additionally, the PassKey v2 features the ability to boot homebrew and backups on newer Nintendo DS systems including the Nintendo DS Lite. Using its simple flash function you can select which backup to boot and go from there. The main difference between the M3 SD and the M3 SD X is its physical size. 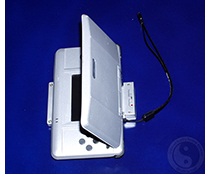 The M3 SD X is now a lot smaller and no longer hangs out of the bottom of your Nintendo DS like the older unit did. This leaves room for the much needed pocket space as it'll now fit in most pockets and also fit into all of the 3rd party carrying cases made specifically for transporting your Nintendo DS system. Other then its physical size the M3 SD X features less power consumption giving you around 9 hours of playtime compared to the old 8 hours. When contrasted against other solution the M3 wins hands down in the playtime category. Most other solutions will give you an average of 3-4 hours worth of playtime so the M3 SD X almost triples these figures. I'm not going to go into great detail about the installation and operation of the M3 SD X because of the fact it is identical to the original M3 SD. So if you would like to read a complete technical review of how you'll get your M3 SD X up and running please read my previous review of the M3 SD. Other then the physical size nothing else has changed when it comes to operating the unit. To end this review I have interviewed the Public Representative for the M3 Team as I thought having a little background history would be beneficial to anyone looking to purchase what I would call the 'ultimate' solution for media playback on your Nintendo DS. How long have you been developing accessories for hand held video game systems? How long was the development cycle for the M3? First, we developed the G6Flash 1st and G6Flash 2nd, and then developed the G6Flash3rd and M3 perfect. We took about one year for developing the G6Flash 1st and G6Flash 2nd, and about half year for developing the G6Flash 3rd and M3 perfect. What was the best part about creating the M3? 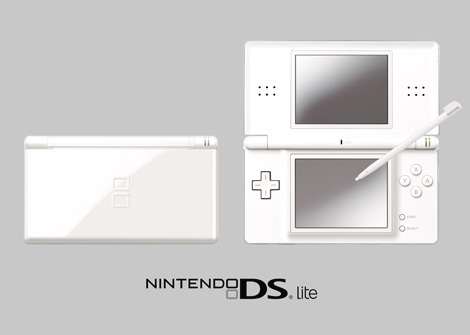 I think our best part are about NDS&GBA game compatibility and NDS/GBA interface. M3 is the highest NDS game compatibility, 100% compatible (Be able to run up & save proper) It is sure that M3 can run NDS & GBA rom proper without any slow down. What was the biggest hurdle to overcome? The most difficult is game compatibility, but we spent much time on finishing developing NDS/GBA Movie Player. What made you decide to release the M3 SD X? We have planed to develop this project about 3 years ago. However, we have not more advantages to adopt this plan due to the price of Nand Flash Memory and CF/SD card are very high. Until 1 year ago, we decided to develop this project. Other then its size, what major advantages does the M3 SD X have over the normal M3 SD? Except size, M3 SD X and normal M3 SD have no any differences in feature & performance.